Looking for a lot of savory spice with a bite of homemade ketchup to brighten up your day? 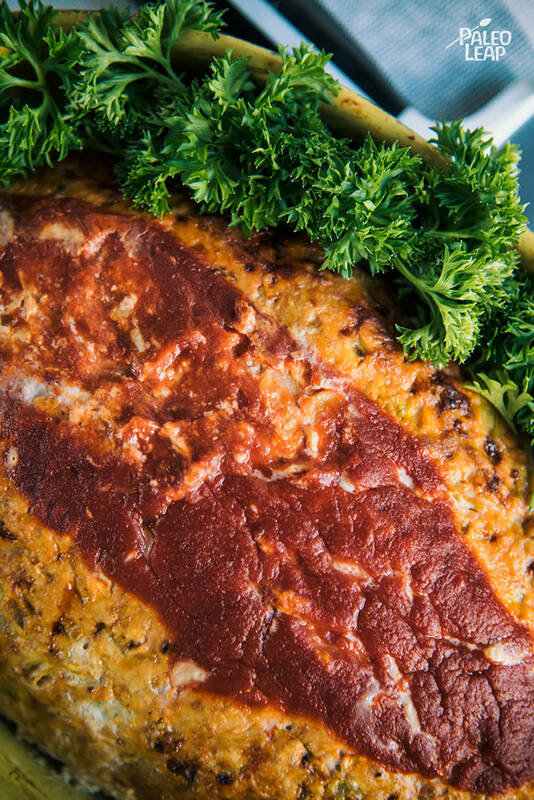 Buffalo meatloaf is here to save the dinner rush. From start to finish it does take an hour, but the prep is kept at a minimum of just 20 minutes, which leaves you plenty of time for other chores, or to just simply put your feet up and relax while the oven does all the hard work. If you have tried the Buffalo chicken drumsticks and thought “Wow! That really packs a punch!” then one can assume that the flavor suits your style. You do not have to wait for the next Super Bowl to enjoy the explosive flavor, now you can enjoy it in meatloaf form, any day of the week. As a side note, a slice of meatloaf is nice next to a ripe avocado with a handful of tomatoes for lunch the following day. There are many ways to dress up an ordinary meatloaf, to make it a special occasion treat, rather than a humdrum meat cake. First of all, you have to add plenty of vegetables and spices when you mix the ground meat by hand. Secondly, don’t compact it when filling the loaf pan – avoid at all costs the dense brick that may follow. Lastly, make a colorful side dish such as a carrot and pineapple slaw to help put out some of that heat! Combine all the ingredients in a bowl, except the ketchup and the 2 tbsp. hot pepper sauce, season to taste, and mix until everything is well mixed. Place the meat mixture in a loaf pan. Combine the ketchup and 2 tbsp. hot pepper sauce in a small bowl, and brush on top of the meat. Place in the oven and bake 35 to 40 minutes, or until cooked through. Let the chicken meatloaf rest 5 to 10 minutes before slicing.